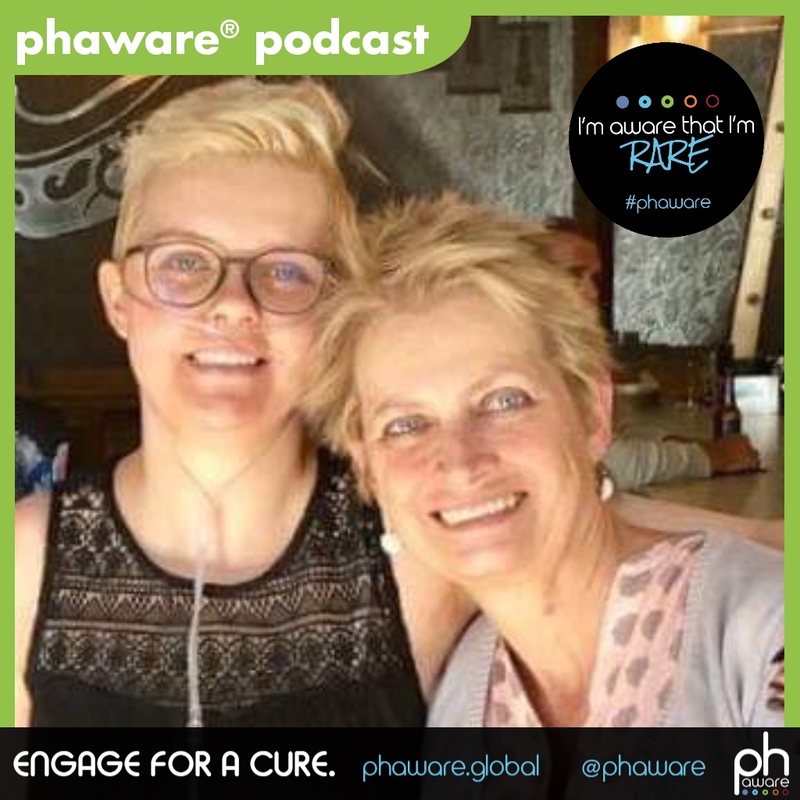 Pulmonary hypertension caregiver and author, Lori Heaton discusses her daughter Maddie's twenty-year journey of courage and strength living with PH. Maddie conquered cancer and lived on to receive two separate lung transplants. Lori details wisdom learned being Maddie’s caregiver through hard-gained lessons which she calls "difficult blessings." My name is Lori Heaton. I was a parent caregiver to my daughter Madison Heaton. We are from Provo, Utah. Maddie was diagnosed with pulmonary hypertension in 1997. After we found out that she had an ASD, we got treatment at Primary Children's Hospital in Salt Lake City, Utah, but her primary cardiologist was Dr. Ivy at Children's Hospital Colorado in Denver. It was 1997, and so when we got the diagnosis we were told to go home and make her comfortable for whatever time she had left, because there were no good options for treatment for pulmonary hypertension other than lung transplant and they didn't recommend it in a four year old. That's why we were told just to go home and make her comfortable. When we found out about Dr. Ivy. His program was only two years in the making when we came along. She was placed on IV Flolan (epoprostenol) immediately, because her pressures were really high. Any oral medications would've been ineffective for her advanced disease. Maddie, I felt was kind of one of the early pioneers in testing out these new therapies. Whenever any new treatment got approved, she would try it. So she went from IV Flolan to IV Remodulin (treprostinil), but the problem was she just would get a lot of line infections. In 1999, we found out that she had leukemia. They recommended chemotherapy, but they had their reservations, because some of the chemotherapy drugs are hard on your heart. Since her heart function was compromised from the pulmonary hypertension, they were reluctant to give her any chemotherapy. We wanted Maddie to have every chance to live. Again, we made a hard decision to put her on the chemotherapy. How chemotherapy works with leukemia is they do a bone marrow biopsy and they see how many leukemia cells are in the bone marrow. Her bone marrow, I think was impacted like 95% with leukemia cells. Immediately, they started her on very aggressive chemotherapy, and within three weeks she was in remission with no leukemia detected. She went through the 18 months of chemotherapy and she did pretty well. The whole time, she was battling pulmonary hypertension too and like I said, struggling with a lot of IV line infections which every parent knows is a big deal and it's scary. So when Ventavis (iloprost), the new inhaled therapy came along, she tried that. This was about when she was in middle school when she started that and she was trying to go to school, which is always a challenge with kids with pulmonary hypertension, because they can feel fine for a couple of weeks and then be out for three weeks because they're sick. Or they just don't have the energy to go full time. In the '90s, homeschooling wasn't as popular as it is today. And there wasn't a lot of options for homeschooling as there is today, so that was always a challenge. She started on the Ventavis when she was in middle school. You have to nebulize like five times a day. And it can take anywhere between ten to 20 minutes. So she would always have to schedule time in between classes, during classes, any activity had to be interrupted by her doing her nebulizer treatments. She had really hard time complying with the schedule. It was just hard. She started to feel as much tethered to her nebulizer as she did with the permanent IV and so she did that for a couple of years and then decided to go on the subcutaneous Remodulin (treprostinil). She was always kind of reluctant to do that as well, because of the site pain that we had heard was so severe. She did that for about five years. By this time, she was a young adult. As everyone knows pulmonary hypertension is a progressive disease. So by the time she was 20 years old, she had pretty much run out of all the options for treatment. She had gone through all the oral medications, she had gone through the IV medications and the inhaled and basically she was looking at a lung transplant for her only option and that was scary. I knew that it would be trading old problems for new problems. I was just hoping that a cure would come before we were faced with a lung transplant, but here we were. We met with the transplant people at the University of Utah. At that time, Maddie had transferred from Dr. Ivy's care to Dr. Elliott's care, who's an adult pulmonary hypertension specialist in Salt Lake. He really recommended that we go find out about lung transplantation, and he said "I'll refer you anywhere you want to go, but the most important thing is family support. You need to have that big family support wherever you choose to go." Since we are all here, we chose the University of Utah and we were really impressed with their program. So they did all the testing. They had to determine whether a heart lung transplant would be the best thing for Maddie or just repairing the hole and doing a bilateral lung transplant. She went through all the testing, they came back and decided that they could just repair that hole and then do a bilateral lung transplant, and then she got listed. Maddie and her younger sister were living down in St. George which is in southern Utah. It's about a 300 mile trip up to Salt Lake, so Maddie had to relocate. But she had an older sister living in Park City, which is only a 20 minute drive to the University of Utah, so she moved in with my daughter Janae while she got listed. I think she was on the list about 42 days when she got the call. They have you come in and then you have to wait because they have to get the lungs from wherever they're coming from and then they have to make sure that the lungs are viable enough for them to be transplanted. If they're not, then you are sent home and you get put back on the list. It's called a dry run and it happens a lot. When she got the call, it was like five in the morning. She was up here and we were down in St. George and they said don't come up until we know it's a go. My husband Randy and I were just sitting there waiting on pins and needles until we heard that it was a go. Then it was and they wheeled her into the operating room while we were still on the road. We got there and about six hours later the thoracic surgeon came out and said she did really well and she was only on a ventilator like six hours. She spent about two weeks in the hospital which is about average. It's hard because it's a big surgery with a lot of pain and then they put you on anti-rejection drugs and then they have to titrate them so that the dose is enough to suppress the immune system from rejecting the new lungs, but not enough that it puts her at risk for infection. It's a process and you don't feel well, because these are really heavy duty drugs. You adjust and you get better, but the thing is, back when she was little, I thought I will never put her through a transplant. But you know what, it was her decision, of course, because she was an adult by the time. These kids, they want to live. They just want live and they want to have a normal life and she was able to have a good life. She was able to live an active life and not be tethered to an IV. And she could breathe. It's huge. But like I said, the anti-rejection drugs put you at a really high risk for an infection, any type of infection. She got a fungal infection in her lungs. Fungus, they're just really common. We breathe in fungal spores every day. People with regular immune systems it's no big deal. But people with weakened immune systems, it can make you sick. She eventually kind of went into chronic rejection, which is just scarring of those small bronchioles in the lungs. She ended up in the hospital again. They put her eventually on life support. I remember the day that they admitted her. The doctor said, "you may not make it long enough to get another lung transplant and so I need to have you sign a living will." I think up until that point that was like the hardest thing I'd ever had to do. What's a living will is her wishes in writing so that we know what she wants us to do if she can't speak for herself. Eventually, she was put on life support and the thing about life support, the ventilator breathes for you but it doesn't treat the underlying disease and so her lungs were still progressively getting worse. Just like the doctor said, she wasn't going to make it long enough to get a lung transplant. But then she did. It was a miracle that she was able to get a donor while she was still in the hospital. They urgently rushed her into surgery, and she was so sick from being on life support that giving her another double lung transplant was too risky. She wouldn't have survived the operation. So they gave her a single lung transplant. They told us that people can live a fairly normal life with one lung. She did well with that and the recovery was quite a bit longer this time just because she was so sick going in that she kind of had to dig out of a hole basically. But she did, she did really well and again she was able to go to college and she was thinking about what she wanted to do with her life and what career options were available to her. She was literally given another chance to live. She wanted to travel. I always thought, even when she was little, that she knew that she wouldn't be here on this earth very long. She wanted to experience life. Her and her sisters are very close and so they traveled around a lot. It was a few months before she passed away, she found some really cheap tickets to Amsterdam and she had always wanted to go there. So she booked the flight, and planned the trip and she went with her sisters and some friends and it was a really amazing trip for her, but she got sick over there. In her mind, it was just a cold. The transplant doctors had given their blessing for her to go, but they gave her some antibiotics and some steroids and things just in case. She got a respiratory infection basically there and she took the meds that were given to her and by the time she got home she was feeling fine. But then shortly after she just started getting progressively more short of breath and she was diagnosed with having another episode of rejection. The doctor wanted to do a bronchoscopy to look down into her lungs to see what was going on. So in June, she had another bronchoscopy done. What happens with chronic rejection, those small airways scar, so you hold on to the Co2 which is the bad stuff that you're supposed to blow off. Well, she wasn't able to. She wasn't able to get rid of the Co2 and so it built up in her blood to where she went into respiratory arrest right after the bronchoscopy and went on life support. Basically, she couldn't come off because she only had one lung, and it was bad. Basically, there was no other choice for her. So we had to make the really hard decision to take her off life support. On June 21st of 2017 we had her removed from life support. I had started writing a book even before she passed away, because even though this is a story that doesn't have a very happy ending, there were some really good things that I learned from being Maddie's caregiver all those years. I just wanted people to know that, you can go through hard things and still come out okay on the other end. You can learn good things. It's a book that just chronicles Maddie's life through pulmonary hypertension and the things that she taught me. It's about all the things that you can learn from going through hard things. It's for anyone who wants to become a better person through the adversity that they've gone through. Each chapter focuses on a blessing that I had learned. One is faith or perseverance or living in the moment or being an advocate or learning to be happy. Things like that. It was something that I had thought about for years and years, but the timing just had to be right. The timing was right now. It is called Difficult Blessings. You can find it on Amazon and on Barnes & Noble. If any of you are a friend of mine on social media, if you want to contact me directly, I can actually even sign a copy for you. So it's been a little over a year and I'm a lot better than I was last year, but I think about her every day. It's like a part of you is missing. But the thought of her being able to breathe again, it's comforting. She went through a lot in her life, but she was always happy. She never complained. She lived most of her life on one type of invasive therapy or another. But you learn to adapt and you learn to make these kids happy and try to give them a normal life. It’s a tricky thing trying to give someone a normal life who's on an IV 24/7. It's a challenge but you do. And there's thousands and thousands of parent caregivers that are doing that. My name is Lori Heaton. I am aware that my daughter Madison Heaton was rare.